This it to let you know that your subscription renewal will not now be in March, but has been extended to 30th April to allow the Community Council Financial Ledger to be completed prior to any new payments being received, and in the correct financial year. , will be sending out invoices during April. Can I ask that if you have any changes you want to make to your listing that you leave it until you receive your invoice, so I can make the changes as I work through the listings ? 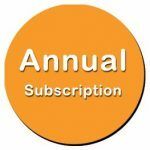 You will be pleased to note that the subscription fee is being held at £20 per annum which will now run from May-April every year. If you are a new business that recently contacted me to be added to the website, can I ask that you await your invoice and I will add you to the website as I work through the listings ?